Feeling low on energy, lethargic, unhealthy, and frustrated with that stubborn belly fat? Interested in the paleo diet but need a step-by-step plan to help you out? 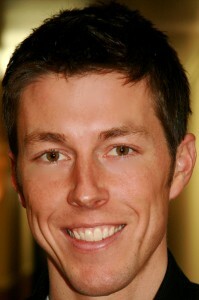 I’m Justin Miller – Ultimate Paleo Guide’s in-house nutrition coach. I offer individualized and customized coaching and consulting based on the paleo framework and your individual needs. Discounts are available on monthly coaching purchased in bulk. If you have a few questions, are looking to get started, need clarification on a sticky point, or just want to talk, this option is perfect for you. 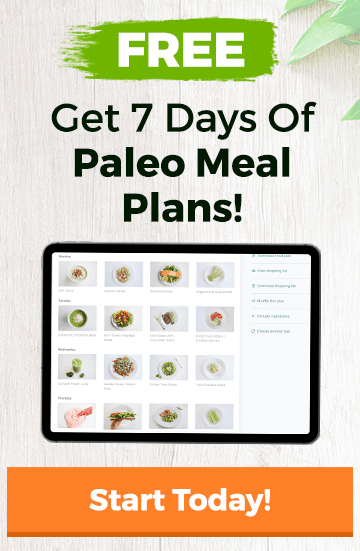 This comprehensive package is designed for those starting out on paleo (or who are already on it), but who are looking to really focus in. This package includes two 45-minute phone calls calls and weekly check-ins throughout the month. You’ll also receive access to exclusive paleo materials prepared just for coaching clients. 90 minute conference calls with a small group of people, twice monthly. Learn from Justin and guests about the paleo diet. 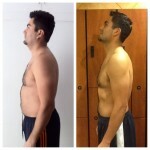 If you’re still not sure if the paleo diet is right for you, check out some of the testimonials from people who’ve worked with me before and seen great results. I spent three months working with Justin. I lost 30 pounds, gained strength, confidence, and the desire to be more and achieve more. My relationships with myself and family have never been better! 2 1/2 Inches In 6 Weeks! The best part about working with Justin was how personalized my workouts and diet were. He basically created an online presence of himself watching over me, without having to physically be there doing the standard yelling and pushing that most coaches do. The difference is that Justin wants to help motivate you, instead of doing your motivation for you. For 6 weeks, I kept track of every item of food and drink that went into my body, as well as every weight I lifted. From here, Justin provided individual notes on which weights to use for the following weeks and how my eating habits were. We would add more fats one week, take out fruit the next, put in more protein the following week, until we found a diet that was completely comfortable for me. 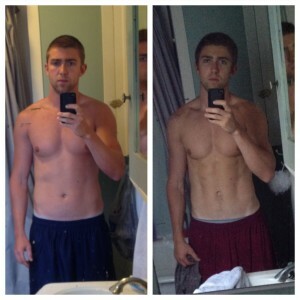 After just 6 weeks of following Justin’s plan, I had lost only one pound but 2.5 inches on my waist. I am stronger and lift heavier than I ever have before. Justin taught me how to get out of my “workout funk” and train my body to see actual results again. I can’t even explain how great I’ve felt since the training. I’ve had an enormous increase in energy and have never been more productive with my days than I currently am being. I highly recommend working with Justin to address any of your workout goals. Not only will you feel incredible, but you’ll learn the basics of how to change-up your workouts and shock your body on your own to get better results than ever you thought were possible. Good luck and have fun! If you’re serious about getting coaching for the long-term, discounts are available for those booking multiple months of coaching at once. Ready to take that next step? Let’s talk paleo coaching today! Just fill out the form below and I’ll be in touch. I’m Feeling Better AND Looking Better! In three months I’ve been able to completely change my health habits. I’m feeling better and looking better than I initially anticipated. The process to get here so far has been challenging but Justin’s guidance, enthusiasm, and support have helped me tremendously. The simple habit changes we have made are what is making this a realization both short and long-term. Can’t wait to see what the next three months have in-store. Life can be pretty crazy and when you’re trying to juggle a career and the responsibilities of being a parent and wife, it’s hard to find time for anything else. When we get caught up in life, we tend to let our health slip. We eat fast food, we snack on junk, we skip workouts, you know how the rest of this story goes. Things begin to spiral… until one day we look in the mirror and we don’t recognize that person anymore. Sometimes it takes a wakeup call like this for us to realize that we need to make a change, and that’s exactly what happened to me… I decided to enlist the help of Justin to get back on track. I was determined to become healthier, learn about proper nutrition, and adopt these healthy habits into my daily life a little at a time. Justin worked with me to develop a workout routine and provide me with a nutritional guide for success… but most of all he provided support, and was right there to answer any and all questions that I had along the way. He has helped to change my thinking regarding nutrition and helped me figure out a plan that works best for me and for the past 4 1/2 weeks he’s helped to educate me on nutritional value while helping me to create a balanced workout plan. The key word here is “educate”. Beyond the superficial achievements of clothes fitting better and shedding some inches… my way of thing has changed as I am now more conscious of my health. Working with Justin has been amazing and I am excited to continue on this new way of healthy living and thinking. Get on track with the paleo diet and start your personalized coaching today!